The Flourishing Tree is hot off the presses and ready to make its way to your home (on sale now for 20% off at Lulu.com). You can buy it in paperback or ebook versions, and it’s available wherever books are sold. Those of you who know me well know that I love supporting independent bookstores whenever possible. And so if you buy it from indiebound.org or an independent bookstore, send me a picture of the receipt and your mailing address, and I’ll mail you a Flourishing Tree bookmark as my way of saying thanks! Like the rain after a long hot day, The Flourishing Tree revived me. Hope takes classic Bible stories and illustrates how God’s word is still active and relevant in our chaotic and challenging daily lives. 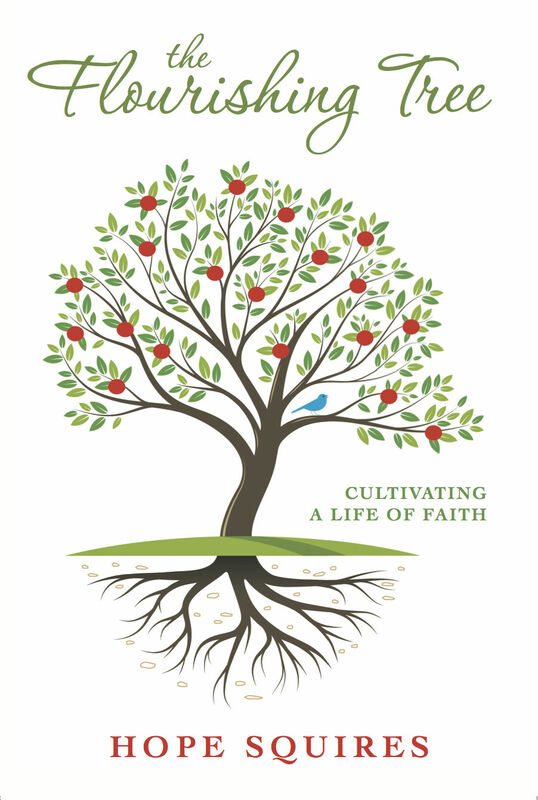 God’s presence, grace and mercy shine through each chapter of this book as she offers purposeful reflections and prayers to challenge and encourage our growth as Christians. The Flourishing Tree not only feeds your soul and rekindles your love for the maker, it reminds us of just how attainable it all is when we are leaning on the Master gardener.